NEW DELHI: In a relief for the Indian expat community in the US, H-1B visa holders are not covered + , for the time being, by the deportation norms coming into force from October 1. The leeway also applies to L-1 visa holders on intra-company transfers. of the US Citizenship and Immigration Services (USCIS) enables officials to start deportation proceedings against individuals whose applications for visa extension or change in status (say, from tourist to student) have been denied and who are not in a period of authorised stay at the time of the denial. Immigration advocates feel the new announcement aims to implement the NTA policy in a more reasonable manner, with adequate warning to leave the country, which was missing in the June 28 policy memorandum. “The USCIS has stated that in cases where someone falls out of status because of a denial of their application (say for a visa extension), they will be sent a letter informing them of the necessity to leave the US. Suppose one applies for extension of their tourist visa. If in response to a direction to leave, the person overstays, the USCIS may institute deportation proceedings,” explained Rajiv S Khanna, managing attorney at Immigration.com. For the time being, H-1B visa holders are breathing a sigh of relief. “As the USCIS has suspended premium processing of H-1B applications up to February 19, the policy memorandum had made the expat community jittery. Most employees continue to work in the US during the 240-day grace period, pending visa extension approval. Prior to this carveout announcement by USCIS, rejection of an application for H-1B visa extension received during the grace period would have resulted in commencement of deportation proceedings. A huge worry has been lifted with the recent announcement,” said an in-house immigration counsel at a large technology company. For H-1B holders applying for green cards, Batra has a word of caution. “One takeaway is to be sure you are continuing to maintain your underlining non-immigrant visa (say H-1B) while you are processing your I-485. 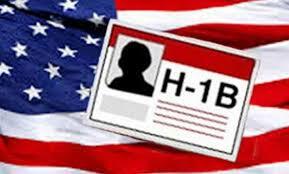 You should continue to extend your H-1B visa, even while your I-485 is pending. This way, if your green card application is denied, you are still in a period of authorised stay.